Elon Musk is responsible for sparking the idea of a Hyperloop transportation system and there are now a handful of companies looking to commercialize the technology first. Hyperloop One has just announced successful test results showing it is on track to build a fully functional transport system. Working out in the Nevada desert, Hyperloop One finished a second phase of testing. A prototype pod was accelerated 984 feet down a test track reaching a top speed of 192mph. The test ended in a success after the pod traveled a total distance of 1,433 feet. All results showed massive increases over initial phases of testing. The one metric that also increased but less favorably so is power consumption. Levitating a heavy object precisely inside a tube and propelling it through smoothly is no easy feat. Approximately 3,151 horsepower was applied during the test, equivalent to 2.349 megawatts. 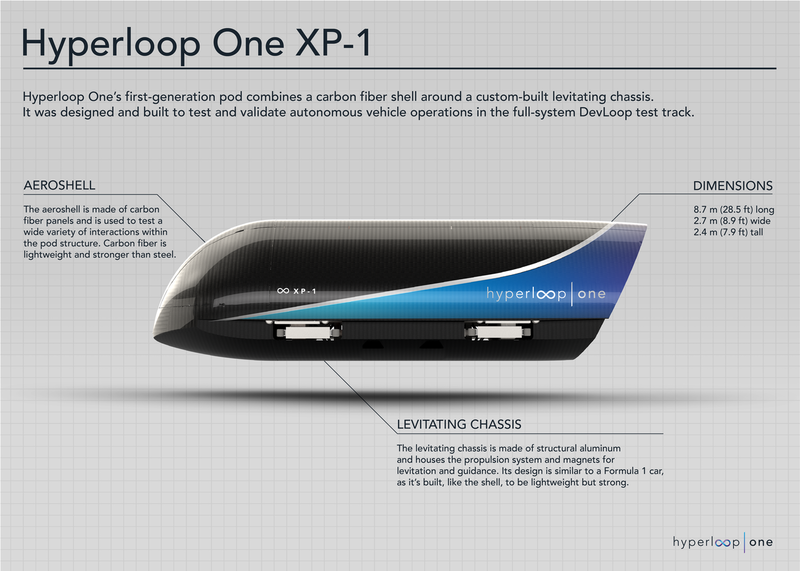 It is unclear what type of payload, if any, was inside the Hyperloop One pod. In order to reach new high speeds, a vacuum system was applied to the tube to decrease air resistance. Air pressure inside of the tube system was equivalent to being at 200,000 feet above sea level. Following successful results CEO Rob Lloyd declared Hyperloop One is “excited about the prospects and the reception we’ve received from governments around the world to help solve their mass transportation and infrastructure challenges". The future of transportation could be based on a pod system, although new inspiration may come along at any time. With only three years of development, Hyperloop One still has many obstacles to overcome before widespread acceptance can be achieved.